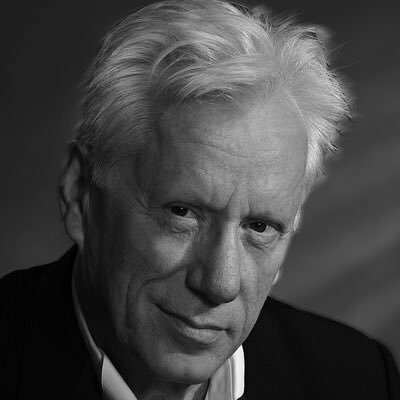 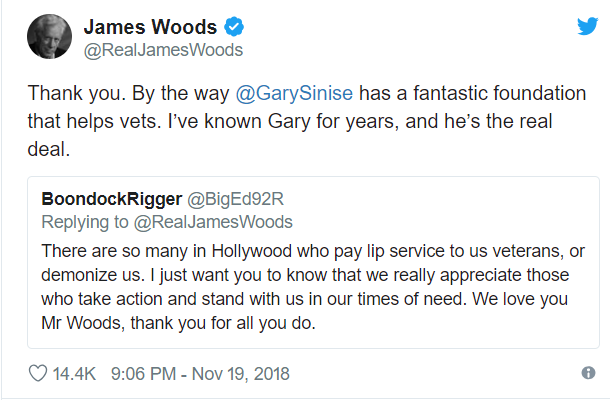 In a day and age in which many people in Hollywood have exchanged their hearts for political foolishness, one man does the exact opposite: Conservative actor James Woods. 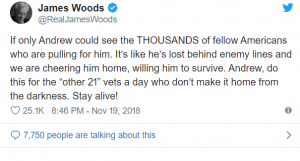 The Daily Wire reported that on Monday night, Woods did everything in his power to prevent a Marine veteran from committing suicide. 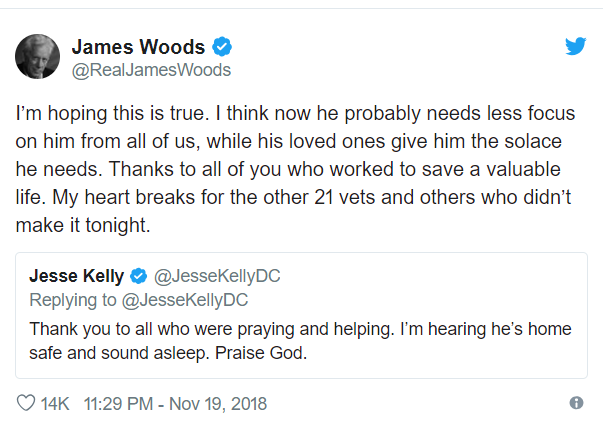 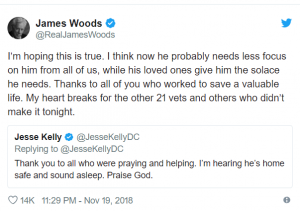 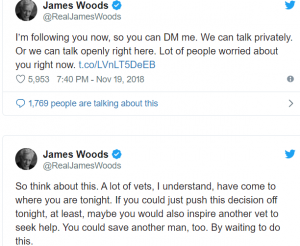 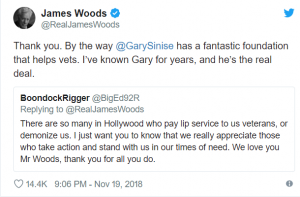 The veteran deleted his tweets and his account, but here are at least some of the tweets that James Woods sent during the exchange as he initiated a desperate search to find the man who threatened to end his life. 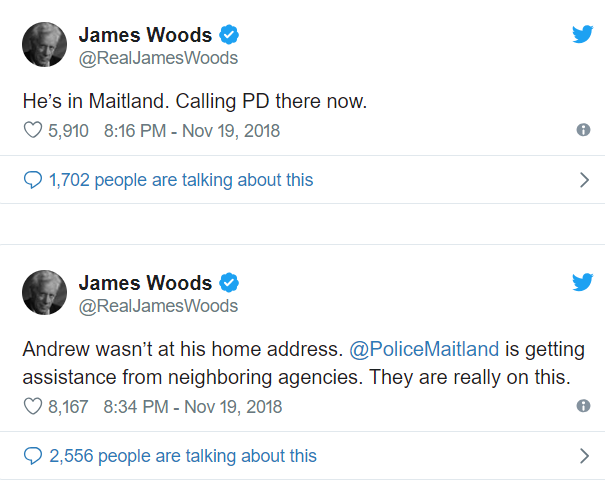 At that point 7,750 people were following the situation. 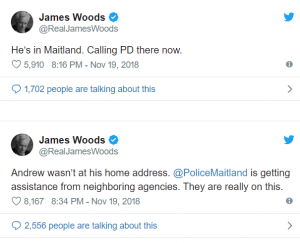 As someone who has, over the years, attempted to find a suicidal person when you have no idea where they are, I can attest that it takes a lot of people to help in the search. 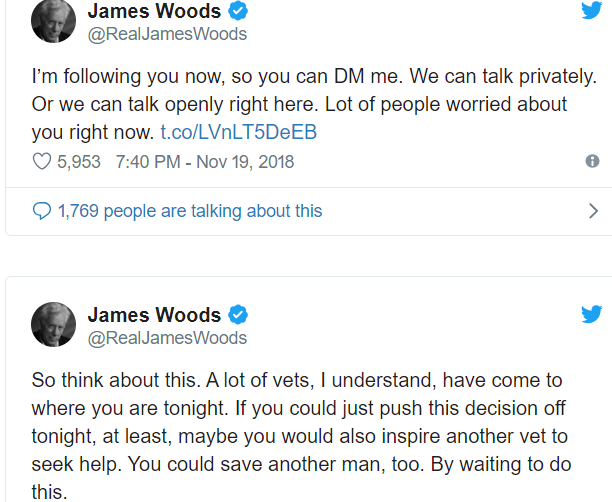 Sometimes you win, sometimes you lose. 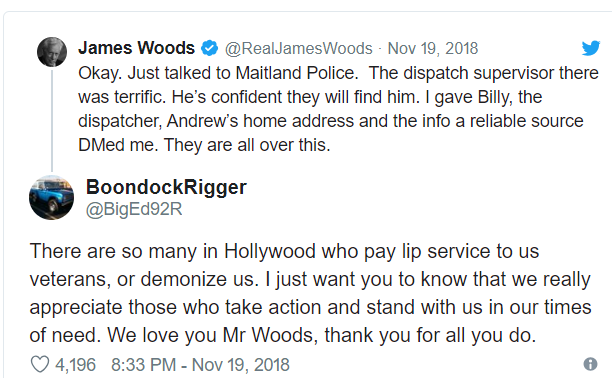 Mr Woods’ effort is amazing. 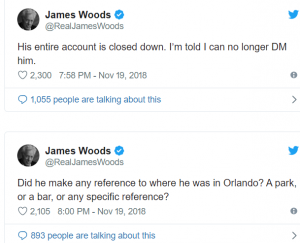 According to the article in the Daily Wire, his father, Gail Peyton Woods was in Army Intelligence. 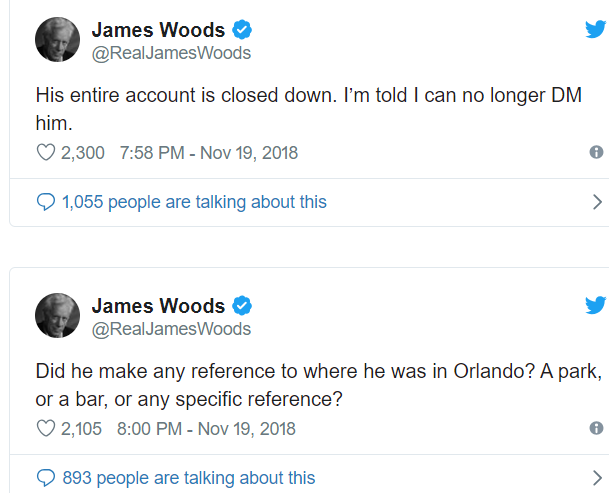 Mr. Woods is a well known Conservative and has 1.86 Million followers. 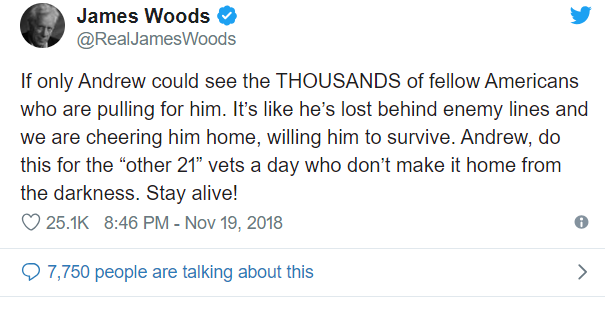 During the California fires, he used his Twitter account to help families find each other and remind them to take care of their animals.